After upsetting West Ham United in the fourth round of the FA Cup, AFC Wimbledon will be looking to give fans yet another reason for celebration when they host Millwall at their Cherry Red Records Fans’ Stadium. The League One side have been struggling in the league, but, on the other hand, they have been impressive in the FA Cup this term. 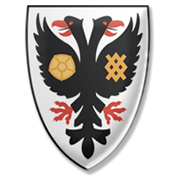 AFC Wimbledon produced a thrilling display in the 4-2 win over West Ham and we predict that they are going to repeat the success against Millwall. The Lions did remarkably well to shock Everton in the previous round, but seeing that they are not regarded as good travelers, we believe that there is a big value in betting on the League One team. In their last meeting in a competitive match the two teams played out a 2-2 draw, but home win should be considered this time out.